1.3.1 What devices does it support? When you think about listening some music then you go for online streaming or download it from other sources. 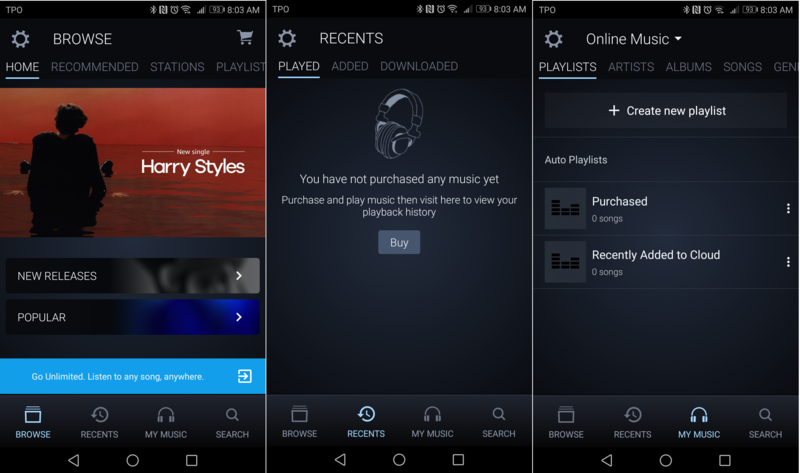 Today we are going to introduce you about the android app where you can stream or download any music. The app name is Amazon prime music app which contains millions of tracks and songs. You can stream or download music on your device. Amazon music india app supports Android OS 4.4 and higher. The Amazon prime music app is user friendly. Amazon prime music is a music streaming platform and online music store operated by Amazon. It contains millions of tracks or songs rather than other music apps which have limited amount of songs. In order to use the services of the Prime music you should have prime membership. You can upgrade to Prime subscription at Rs 129 per month and yearly subscription at Rs 999 in India along with Ad-free included in subscription. The best thing is that amazon is giving 30 days free trial to use the Amazon prime subscription offer.The Amazon prime music is available in windows, Mac as well as for iOS. Echo Plan: In this plan users can stream from the full Amazon Music library. The only thing is that you can use this plan for your Amazon echo dot devices. It does not give access to Amazon Music Unlimited on the web or in the app. The monthly charges is $3.99. Individual Plan: In this plan users can stream from the full Amazon Music library. The changes in the plan are it gives full access to Amazon Music Unlimited on the web or in the app as well as on any of the Amazon echo dot. The monthly charges of this plan is $9.99 for non prime members and $7.99 for amazon prime members. Amazon music unlimited family plan: In this plan users can stream from the full Amazon Music library. Six members in the family including you gets full access to Amazon music unlimited family plan on the web or in the app as well as on any of the Amazon echo dot.The monthly charges of this plan is $14.99 for non prime members and amazon prime members. The amazon prime subscription offer includes Amazon Prime video and one-day delivery. One of the best thing you will like about Amazon music that it shows the tracks or songs region wise. The tracks or songs of different region are present in Amazon music. Like other streaming services, Amazon’s lets you listen to music on demand. That can be on your phone, but it can also be on your computer or via an Amazon Echo dot speaker. You can store 250 tracks of free storage however purchased music do not count towards storage limit. Amazon Music allows 10 devices (computer, browser, mobile, etc.) to be authorized. Users have to remove their account from old devices via web interface. Stream popular artists,playlists,songs and new released genre. Download your favorite albums, songs, and playlists to your mobile device for offline listening. Ask Alexa echo to play music just by saying “Alexa” wait for the tone and order to play any music like according to you mood activity or more. Amazon cloud drive which allows user to play their cloud music which stored in cloud drive. Further it allows to play music from computer or android devices with internet access. You can move your Amazon Music account to the Amazon marketplace of your country or region of residence. Create playlists on any Alexa echo enabled device using your voice, or using the Amazon prime Music app. You can purchase music from the Digital Music Store for this you must have an Amazon.com account. First, open google play store on your device. After that type Amazon prime music app on the search bar. Install the prime music app and open the app. Sign in to your Amazon prime account and you are ready to go for unlimited streaming. Click here to Download the Amazon prime music app . Go to My Playlists (Amazon Music for Web or PC & Mac) in the navigation sidebar or My Music in the Amazon Music menu. Select the “+” or + Create New Playlist option. Enter a name for your playlist and select Save. Give name to playlist whatever you like. Alexa confirms the playlist has been created. If you are the Prime member then all the features comes in handy to you. It is good for the music lovers where they can find tons of tracks at single place. The songs quality are good other than this you can download the songs on your device and create your own playlists. Enjoy the music world with Amazon prime music app.